You don’t need to be a nutritionist to become a vegan, but most people who are vegetarian or vegan are, on the whole, more informed about their food choices. People now talk glowingly about plant based eating. From Chrissie Hynde to Moby, who recently opened such a restaurant in L.A. I have just returned from my annual detox. A week of juicing and yoga at Juicy Oasis in Portugal. And, I am feeling inspired to focus more on catering for alternative lifestyles, healthy living and ethical choices at my events. At least 542,000 people in Britain are now following a vegan diet and never consume any animal products including meat, fish, milk, cheese, eggs and honey. This is a whopping increase since the last estimate of 150,000 ten years ago (Ipsos MORI)!! Now with the abundance of new products on the supermarket shelves, a plant based meal is no longer just a matter of conscience though, but a delicious and healthy way of life. More and more people are becoming aware of this. It makes a good deal of sense to make consideration of their culinary and lifestyle choices when planning a celebration. Rather than the rather old fashioned way of thinking which usually involves meat substitutes, why not embrace the modern and innovative by celebrating the beautiful produce that can be found in many farmer’s markets and specialist organic shops as well as the more enlightened supermarkets and have yourself a fabulous Mega Vegan Party to lead the way?! 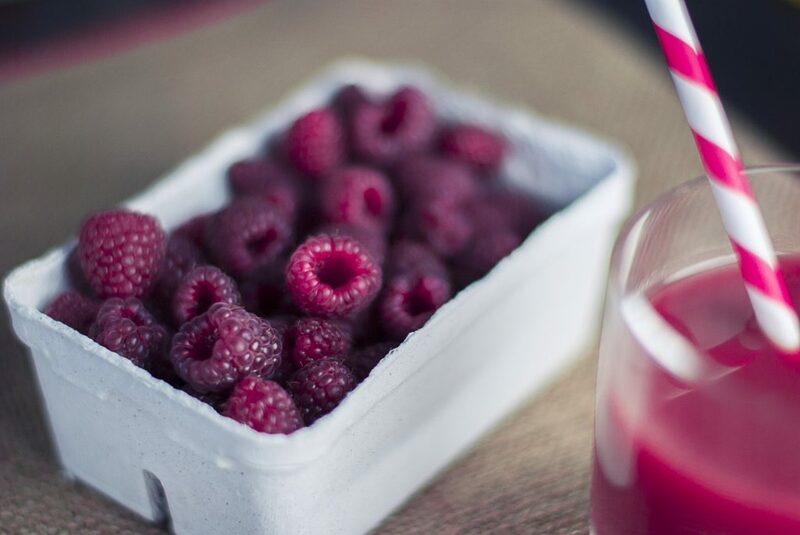 For a real health and beauty boost look at the delicious smoothies you can tempt your friends with. 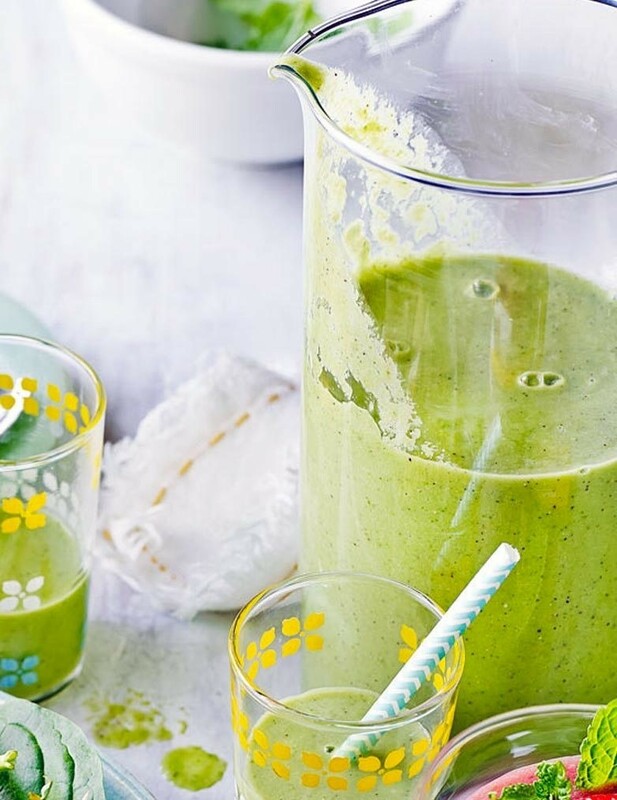 Kick off your Mega Vegan Party with a non-alcoholic smoothie containing cucumber, apple, pear, celery, ginger, fresh mint, lime and spinach – all fave ingredients! ameliafreer.com whilst not specifically a vegan website, does have many gorgeous ideas to tempt your taste-buds… Look out for her gorgeous fragrant smoothies that you can conjure up with one good whizz of the blender! 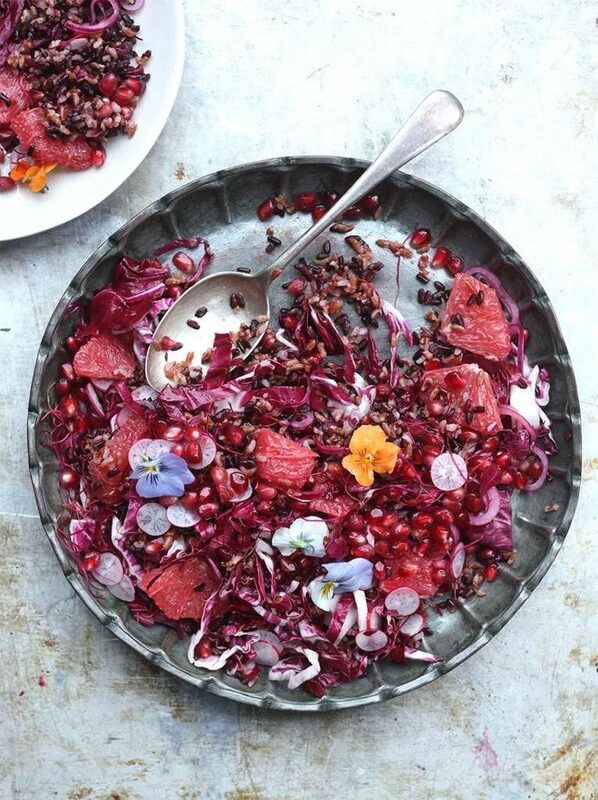 Another riotous celebration of tasty, healthy food from the author of ‘Cook. Nourish. Glow’, Amelia Freer. Our love of Far Eastern, Asian, Indian and Chinese food (and that most of us have easy access to the sometimes unusual ingredients) means that your Mega Vega Glam party has virtually endless combinations of foods and drinks and it is absolutely up to you where you take it! Another hot trend for 2017 are Fermented Foods – enjoy a bottle of refreshing kombucha, snack on kimchi, or add flavour to your cooking with miso paste. And as for fries, forget the ubiquitous sweet potato and take a look at avocado, polenta and even banana fries. No doubt you’ve got a spiralizer lurking somewhere in your kitchen. Keep seeking out the imaginative recipes that are exploring the endless healthy possibilities of raw food… And finally, for the savoury fans, seaweed is the new kale! Not only is it environmentally friendly and sustainable, it’s packed with fibre, antioxidants, iodine and good fats, making it the latest darling of the health food world. When it comes to dressing your table, have a look at ethically sourced and organic products such as these soy wax scented candles by naturalcollection.com. 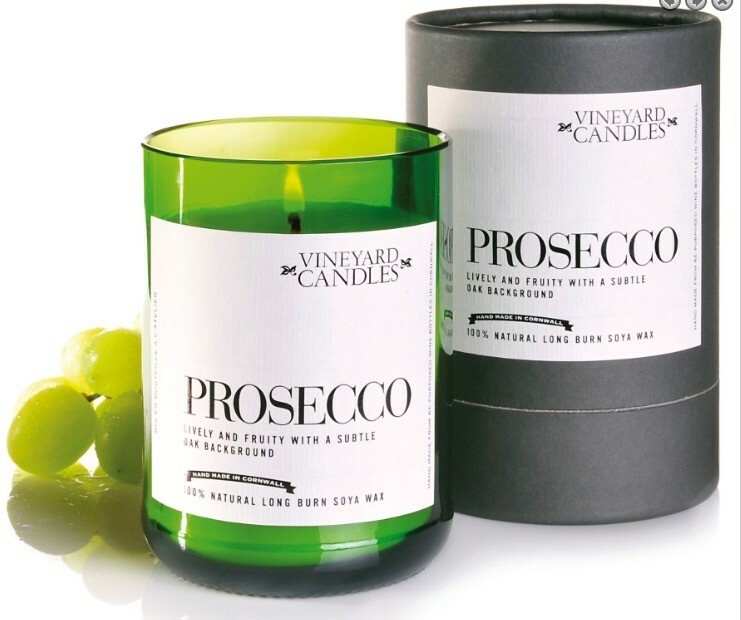 What better way other than drinking Prosecco could there be than inhaling it?! It’s now considered seriously chic to be vegan as we stand up to define a more considered and ethical world. Consider your interior design for example. Sustainable and ethically sourced materials don’t have to lack style – in fact they can be more cutting edge than some of the heavily advertised products on the market. Music may be the food of love, but a romantic soundtrack is not enough to win hearts on Valentine’s day. Preparing Valentine’s Dinner may feel daunting, but the recipe for romance doesn’t need to be complicated. 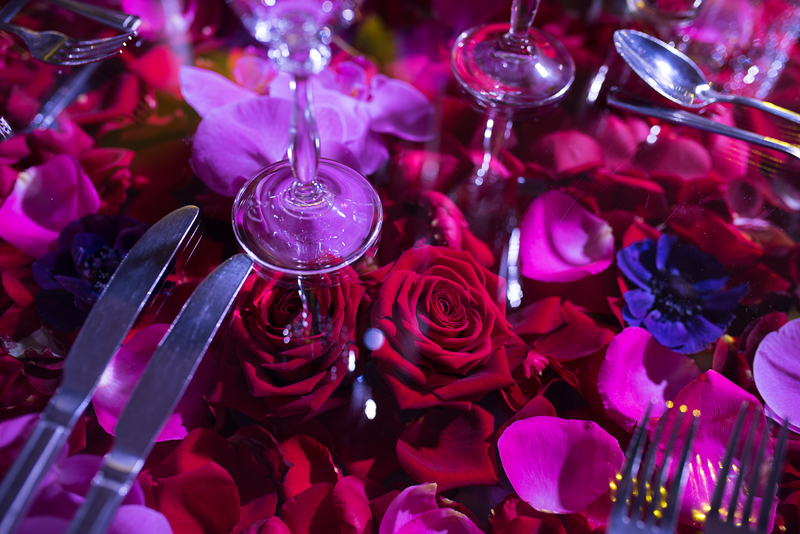 Follow our ‘Preparing Valentine’s Dinner – 5 Dos and Don’ts’ tips to enjoy a happy dinner of love. Do: romance the one you love. Don’t: go on a first date. It is surprising how many people think Valentine’s day is only for those in the first throws of romance. We know you can show your loved one how much they mean to you any day of the week – but do you? Forget complaining about the commercialisation of love and get cooking up something special for the two of you. For those who have just met and are yet to go on a date – my advice is wait a week. Unless you are teenagers, preparing Valentine’s Dinner for a first date is more clueless than cute. Whether you like it or not, there are so many romantic expectations on 14 February you are likely to end up ruining the relationship before it starts. Give new love a chance. By all means send a card and flowers, but save the big romantic gestures until there is some real heart behind them. Don’t: leave it to the last minute. We all know that spontaneity is one of the keys to lasting romance. Unfortunately, Valentine’s Day is one of those occasions where spontaneity can leave you literally out in the cold. If you’ve not got a booking, unless you plan to eat at McDonalds you’re probably not going to get in. Choosing somewhere because it holds a special memory for your both is more important than getting a table at the hottest venue in town. The old cliché: it’s the thought that counts, has never been more true than on Valentine’s day. 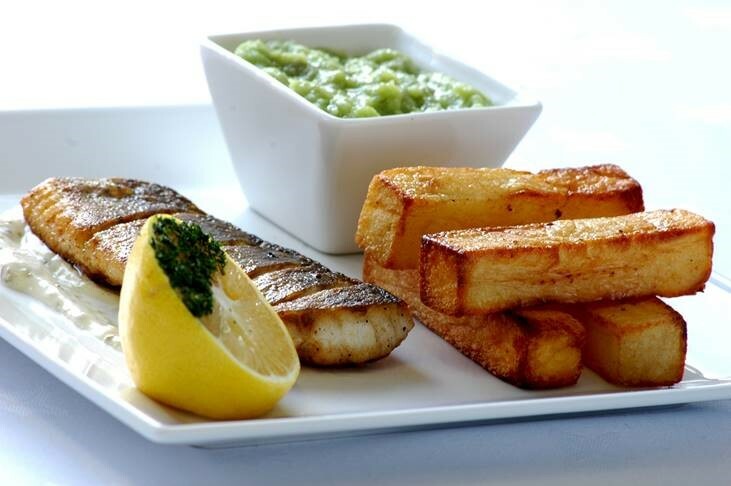 Whether you are eating in or dining out, make sure your Valentine’s favourite food is on the menu – even if it is simply fish and chips! It doesn’t matter how much you spend or how grand the gesture, if you haven’t taken time to think about the tastes of your sweetheart, you’ve made a big mistake. Do: add a personal touch. Don’t: try to be too original. If you are struggling for ideas don’t be fooled into thinking that you need to do something wacky or extravagant to impress on Valentine’s day. Indeed, veering too far from tradition can leave your loved-one feeling cheated. February 14 is perhaps the one celebration when you don’t need a huge imagination to make it special. It’s a tradition that’s been around since the 5th century and there are certain expectations that go along with that. 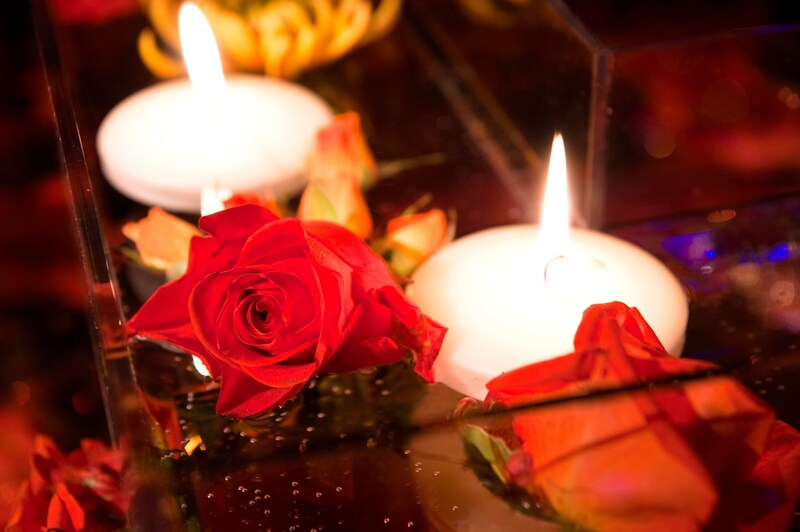 All the trappings of romance of there for you to pick up and use – hearts, flowers, chocolates, candles, moonlight – you don’t need me to keep listing them, just choose a traditional favourite and add a personal twist. Do: consider your loved-one’s taste buds. 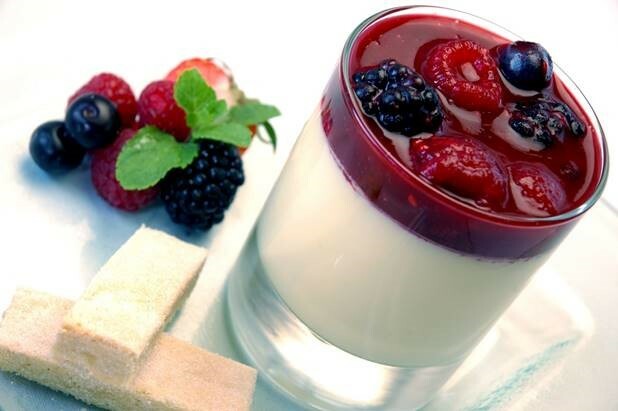 Caviar may have been a favourite food of Casanova and oysters an aphrodisiac, but if these amorous foods don’t tickle your loved-ones taste buds your romantic hopes may be dashed. It’s best to stick to foods you know you both enjoy. Saying that, there are certain dishes to avoid, unless you want to be left looking like a clown. Slurping, splashing, picking – you know what I’m talking about. Even by the sound of the words we know we know in terms of romance choosing this type of menu could be a recipe for disaster. So, no spaghetti, no spinach, no mussels and no burgers. And don’t just think about the mess at the table but the possible after effects. This means no sprouts, garlic, raw onions, chilli and staining foods like beetroot. Also, avoid creamy and heavy dishes if you have better plans for after dinner than crashing on the sofa and falling asleep!! Unless you are an accomplished chef don’t use Valentine’s day to try out a new fancy recipe. It may impress, but it may also end up with you panicking in the kitchen and appearing fraught and irritable. Stress is not an attractive look. Keep it simple. If you are planning to cook it is much better to choose tried and tested recipes incorporating your favourite foods – roast chicken or grilled fish for example – and add a special touch to create the desired atmospheric by taking time to plan the music, lighting and décor. Valentine’s Day is a day of love. Relax and enjoy it. 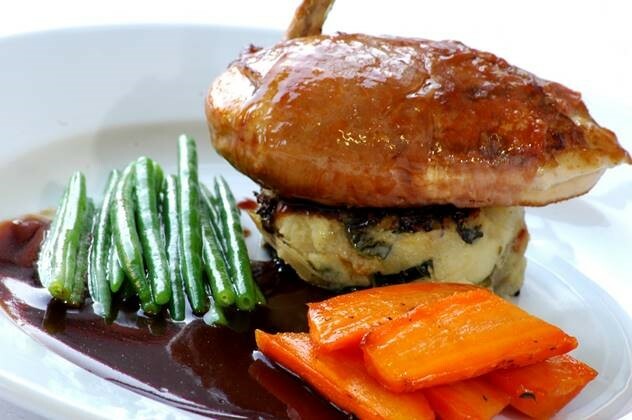 If you have enjoyed our tips and ideas around Preparing Valentine’s Dinner, visit the Top 5 Romantic Venues in Manchester. So far this year the trend is showing that ‘on premise’ wine sales are down and ‘off premise’ wine sales are up, which may mean that it’s more likely that we’ll be enjoying our alcohol consumption at home, so the more imaginative we are – the more fun we’ll have. And of course, we won’t have to carry the mark-up that the sophisticated venues are charging. So, if you can’t quite run to cases of Cristal for your next get together with friends, here are our Cristal Ball Wine Trend Predictions 2017. Wine slushies are becoming less niche and more confident in 2017. As a riposte to global warming, delight your friends this spring with a delightful rose tinged slushie that will set the taste-buds tingling. Freeze a bottle of sparkling rose in ice cube trays overnight, then when you’re ready, combine the rosé cubes in a blender with half a bottle of Fentimans rose lemonade, two tablespoons of elderflower cordial, a handful of ice cubes and blitz until it’s at the right consistency for you then place in an old-fashioned champagne coupe and serve with a sprig of lavender. 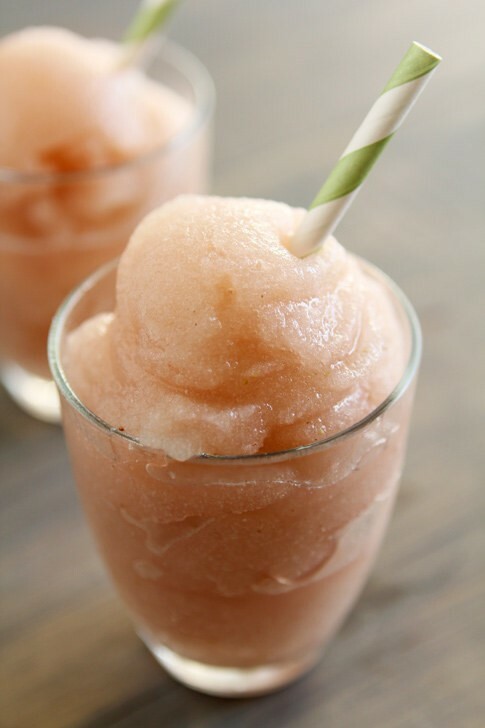 Go online to seek out more ideas for imaginative wine slushies at buzzfeed.com Our favourites include a Sauternes and Lemon Honey slushie and a delicious Frozen Peach Bellini! The Scottish distilleries probably heralded the craze for ageing their single malts in interesting casks. Think of the flavours that can add character to a dram that’s been aged in a port barrel or a bourbon barrel. 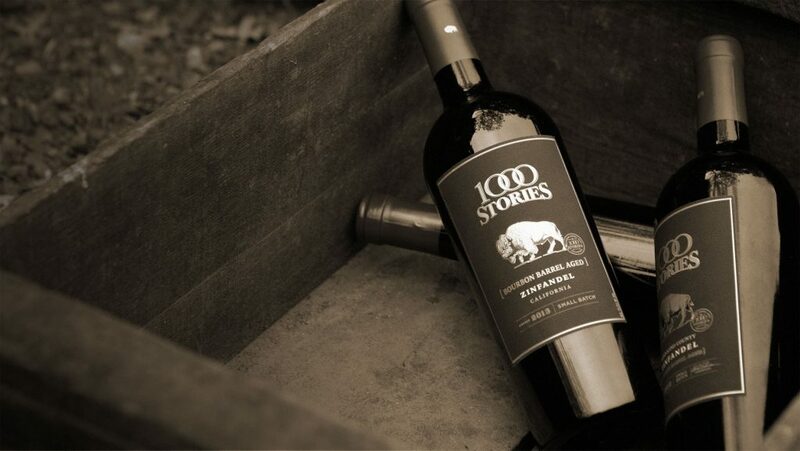 A couple of years ago, we heard that some of the edgier wineries were experimenting with ageing their wine in charred oak barrels that had previously contained bourbon whiskey. Interested? 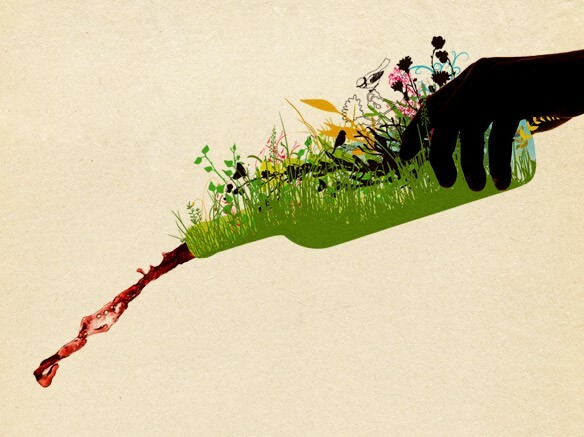 Another buzzword this year to look out for will be ‘Biodynamic’ which loosely translated means a philosophy of producing wine that is beyond the principles of organic, but doesn’t necessarily follow the strict rules surrounding the production of organic wine. Sustainability and exclusion of pesticides, fungicides and herbicides, combined with understanding of the ecological, the energetic and the spiritual in nature add up to a very complicated drink that will keep your guests busily discussing the principles for hours! So hopefully our Cristal Ball Wine Trend Predictions 2017 will help you on your way to another memorable party with your friends! Cheers! Turn Breakfast into a ‘breakfeast’ and have yourself a Brilliant Brunch Bash to liven up the grey days of winter and give your friends a much-needed treat! Breakfast as any cook knows, can be a demanding and complicated meal, asking for the skills of a mathematical genius to get the ingredients cooked to perfection all ready at the same time! One of the best daytime parties to hold is a Brunch party, but people are often put off by the impossibility of producing a ‘Full English’ for a crowd of people. Some say that it’s only brunch if you go out to a restaurant, but if you’re prepared to fly in the face of convention, you’re our type of person!! Most people would agree that breakfast is the best meal of the day – but how to juggle all the magic ingredients to feed all your hungry friends at the same time? If you haven’t got hot plates and warmers fit for a professional, we’ve got lots of ideas that will help you to dazzle the taste-buds of your lucky friends! The secret is to have trays or dishes of delicious things that can be easily prepared well in advance then put into the oven when you’re ready to party then just slice and serve! The best brunch party I remember had a magic recipe that combined the best bits of breakfast all together in one roasting pan. 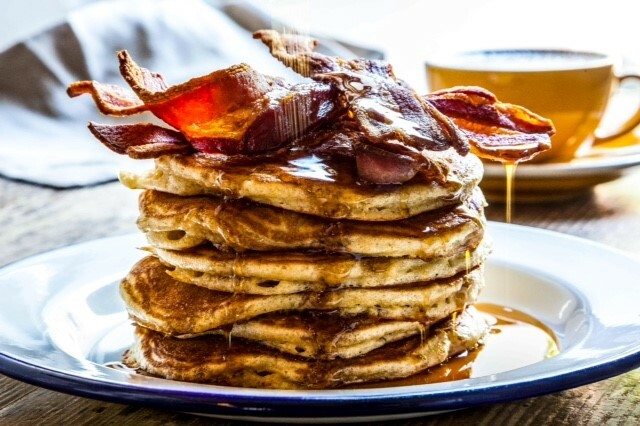 The recipe came from an invaluable little book called the Food Aid cookbook edited by Delia Smith…..
Lay strips of the best smoked or sweet cured bacon you can find across a large fairly deep roasting tin overlapping to cover the base and sides. Then arrange the slices of cheese over the bacon. Now take a large mixing bowl and whisk the eggs in it, together with the milk, freshly ground black pepper and a little salt (be careful with that because of the bacon). Pour the egg mixture all over the cheese and bacon, then spoon blobs of sour cream all over the top. Transfer the dish/dishes to the pre heated oven and cook for 25 – 30 minutes or longer until it looks beautifully golden and puffy, but firmly set – a bit like a soufflé! Another great treasure trove of recipes for your Brilliant Brunch Bash can be found online at nigella.com – for another great savoury dish the Croque Monsieur Bake is a winner, and the Apple and Blackberry Küchen is a sweet, but not too sweet yeasty dough baked in a slab and topped as you like with fruit, nuts or both! Then of course, jamieoliver.com is a great go to for tasty breakfast recipes. 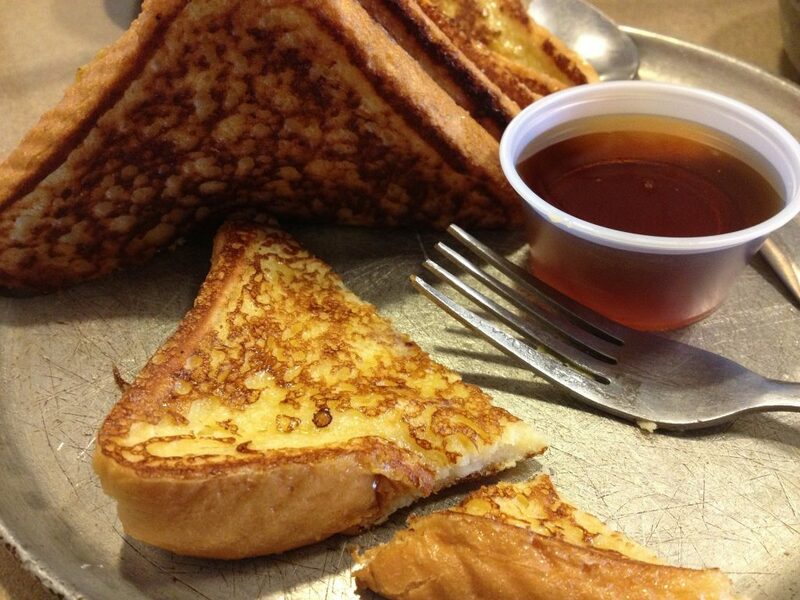 If you simply have to have French toast with bacon and maple syrup, or three way eggs benedict, he’s your man! Then for the all important lubrication! The great thing about your Brilliant Brunch Bash is that you can be generous with the Prosecco or the Cava. No need to look any further for your tipple of choice – and you can choose something to suit your budget from the massive selection available of both. If you can run to it, get a few bottles of Champagne in for the purists, but I defy you to be able to tell the difference when you’re mixing it with orange, peach or cranberry juice! 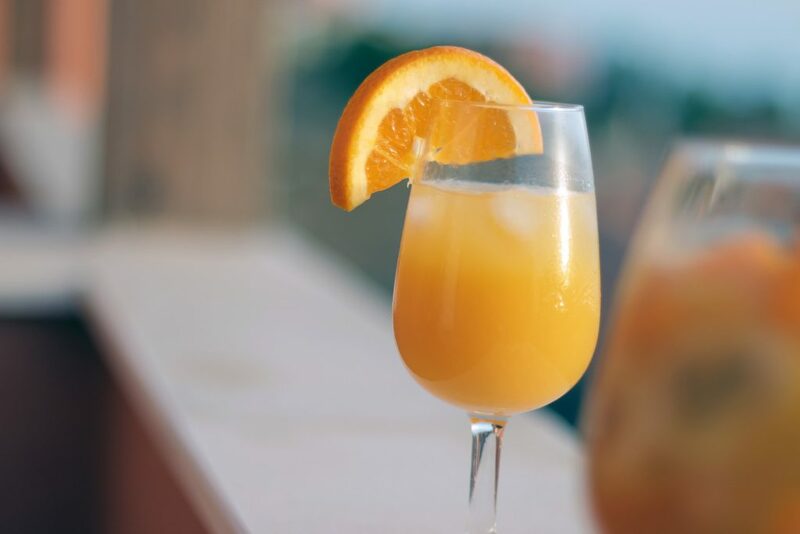 The ubiquitous Bucks Fizz is a great brunch standby, but what about ringing the changes with a Bellini? 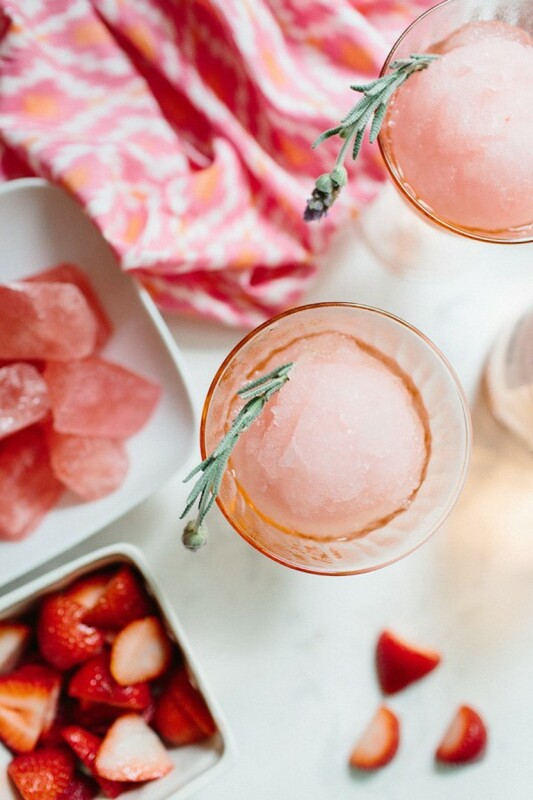 Credit: buzzfeed.com for an unusual twist on the Bellini- a Bellini Slushie. Search drinksupermarket.com for their Funkin Pro White Peach purée that makes a respectable Bellini if you can’t get over to Harry’s Bar in Venice for breakfast?! 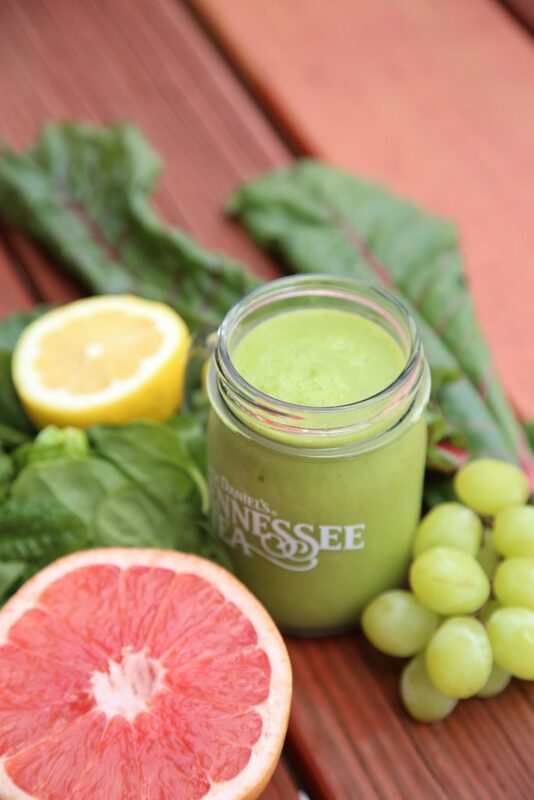 Or a wonderfully healthy green smoothie to tickle the taste-buds… cucumber, apple, pear, celery, ginger, fresh mint, lime and spinach are fave ingredients as a way of livening you up in the morning! Finally, plan for your wind-up strategy! We all ended up at the last brunch party with a massive casserole and baked potatoes for supper because nobody would go home!! 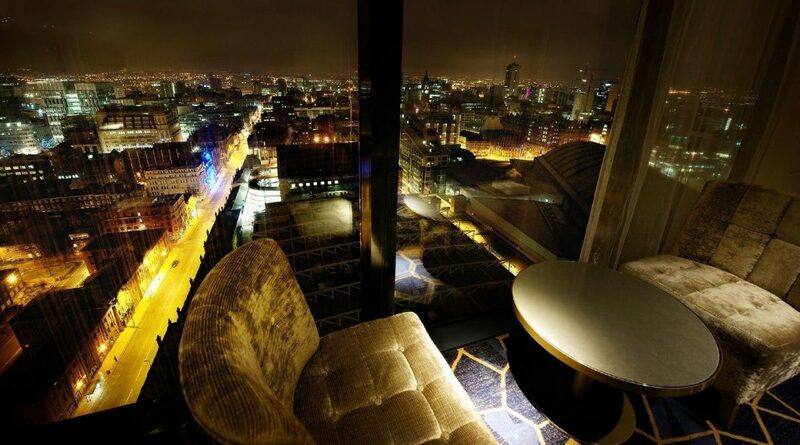 Number two on our selection of Manchester’s top 5 romantic proposal venues is a little unusual. If you’re looking for a bit of moral support for your proposal, who better to call on than Venus, the classical goddess of love. For a sensual and imposing representation there is none to beat the elaborate Pre-Raphaelite painting, Astarte Syriaca. 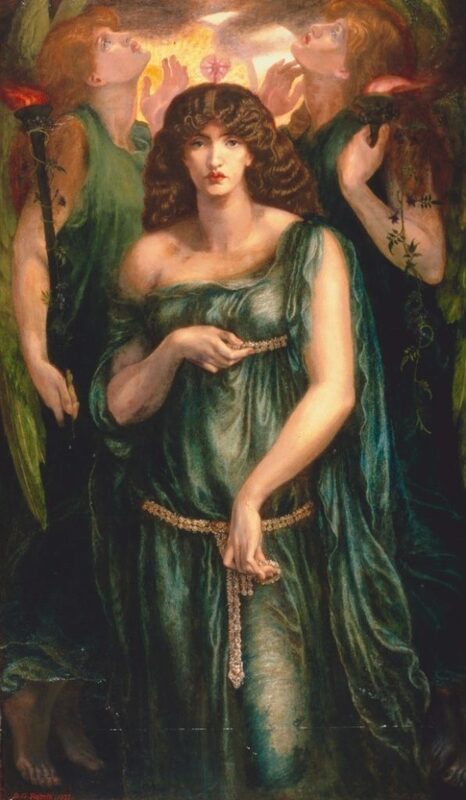 Painted by Dante Gabriel Rossetti in 1877 it is one of a striking collection of Pre-Raphaelite paintings housed at Manchester Art Gallery. Once fired-up you can visit exhibitions from the earlier period of romanticism including paintings from Turner, Constable and Blake, displayed in the Early 19th Century gallery. The building itself has a stunning glass atrium linking the new and old parts of the building – a beautiful place to mark moving onto a new era together. 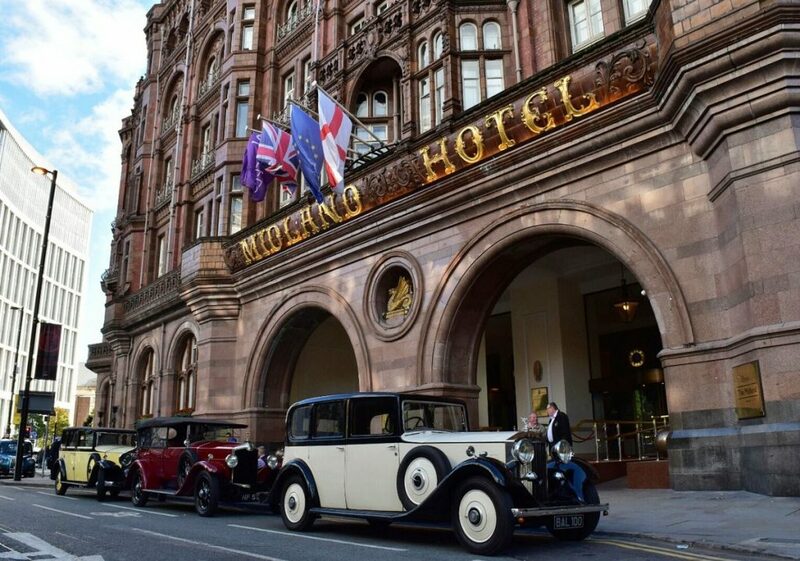 There is something irresistibly romantic about Manchester’s grand dame of hotels, The Midland. In its 100-year history the hotel has been the inspiration behind many a lasting partnership – most famously being the site where Rolls first met Royce. The French restaurant has always been at the top of the list of fine places to dine in the city. Under chef, Adam Reid, the restaurant has undergone a change in direction to make it more accessible and relaxed, without compromising on quality. The stripped back feel has been labelled a French revolution in the city. And it may just be the injection of passion you’re looking for. 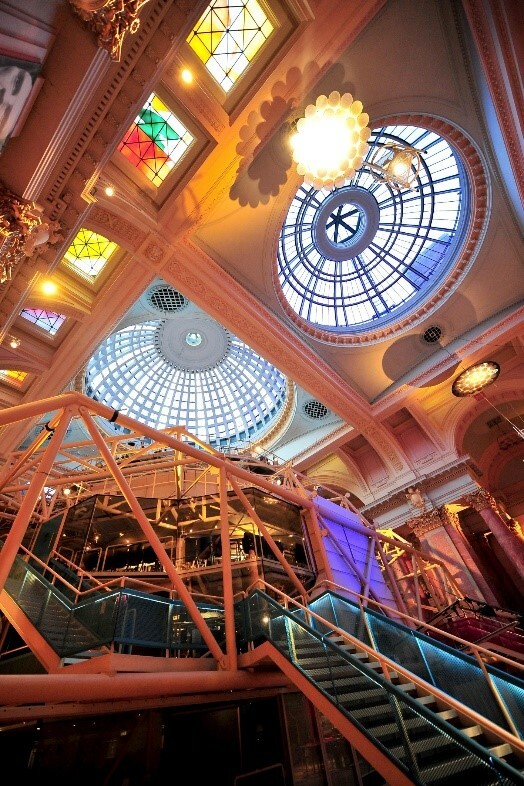 Whether or not you are planning a romantic evening at the theatre, the Royal Exchange Great Hall which houses the city’s Royal Exchange Theatre, is a beautiful and dramatic setting for a romantic proposal. As its name suggests the Grade II listed building was once an exchange hall for cotton traders, and its history is still visible if you look up above the restaurant doors to see the old exchange board. Sitting under the beautiful glass domes is the theatre itself – a seven-sided module suspended from 4 huge columns. The theatre was designed to resemble a lunar space craft, with no seat more than 9 metres from the stage. So if you’re looking for an intimate space to lift your love to another stratosphere, this could be the place for you. The Telegraph newspaper describes King Street Townhouse: ‘like staying with a rich friend who has extremely good taste.’ Here at TLC we agree this 40 bedroom, baby grand hotel offers the luxury of a grand hotel and the intimacy a quirkiness of the best boutiques. Originally built in 1872, this impressive Italian renaissance building within the upper King Street Conservation Area, has spectacular views of Manchester’s gothic Town Hall. Add to this a dip in its roof-top spa pool and you’ve got the perfect spot to watch a romantic sun-set, high above the crowds.